Sugar is the main cause of dental decay when there are bacteria present. More significant than the amount of sugar you eat is the frequency of consumption. Probably the worst thing you can do to your teeth is to drink a soda and have a sip every few minutes over a long period of time; the same is true for snacking. It is recommended that if you want to have a snack or soda or juice it is better to have it after food, as dessert, or have it in one sitting. Eating or drinking something sweet over an extended period of time creates a constant supply of sugar for bacteria that causes tooth decay! 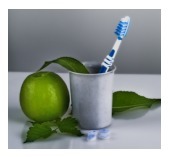 If you have any questions about diet and dental health and you live in or around Lakeway, give us a call today!